The White Sox have claimed infielder Alen Hanson off waivers from the Pirates, reports Jon Morosi of MLB Network and FOX Sports (via Twitter). Pittsburgh placed the former top prospect on waivers last week. Once one of baseball’s top overall prospects, Hanson’s production trailed off upon reaching Triple-A. That didn’t prevent him from reaching the Majors, but he hasn’t performed well there, either, hitting a combined .205/.239/.261 in 92 plate appearances between the 2016 and 2017 seasons. 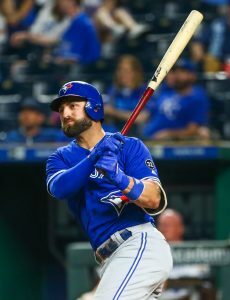 The bulk of his time in the field as a big leaguer has come at second base, though defensive metrics such as Ultimate Zone Rating and Defensive Runs Saved don’t paint a favorable picture. Hanson is out of minor league options, so if the White Sox wish to send him down at any point, they’ll have to once again expose him to waivers.